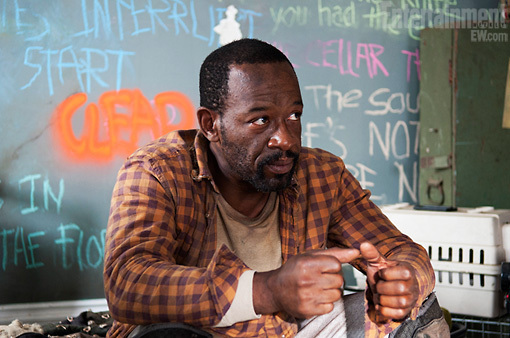 SPOILER ALERT: I am caught up on season 3 of The Walking Dead and just finished the most recent episode called "Clear". HOLY CRAP!!! WHAT an episode!!! I don't even know what to think! 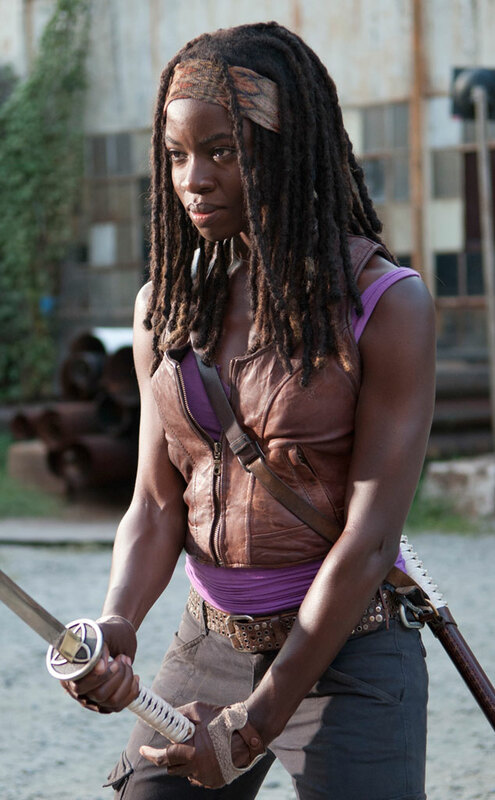 First off - I dig Michonne. I have since Day 1 when she showed up with those armless walkers on a chain. (WHAT a fashion statement, right?!) They NEED Michonne. Rick is just jealous because she's more of a badass than he. He could LEARN a few things from her. And he KNOWS it. She is such an asset to this group of people...they are absolutely nuts if they don't keep her around. And she keeps walkers on a chain! Who doesn't love that?! OMG MORGAN. I am so devastated over what he's become. He's like Sisyphus! He just keeps rolling that boulder up the hill and it keeps rolling back down on him. WHY didn't Rick tie him up and MAKE him come with them?!? I don't go for this "he's resigned to his own fate" bullcrap. RICK could have easily become that. EVERYONE deserves a chance at living. MAKE him try, for God's sake! OK. Backpack Guy. Wow. Just...wow. When they SAW his remains at the end and then TOOK his backpack??? I was SO PISSED. They have LOST their humanity!!! ALL of them!! WHY didn't they pick him up?!? I get it - I really do. Survival of the fittest...we can't take care of everyone...yada yada yada. But still. That guy was alone. He didn't have a huge group with him...they could have at least picked him up and dropped him somewhere. Do you think it was a play on that whole "Never pick up a hitchhiker" thing? Loved when Michonne helped Carl and did it in such a way that he was able to hang on to his little 11 year old dignity. It was cool. SHE is cool. Rick better tell everyone to accept her when they get back to Home Sweet Penitentiary Home. Watching The Talking Dead on AMC. It's fantastic. I was born to be on a show like this. It's like a frickin' blog on tv. Love. I'm so glad you mentioned "backpack guy"! WTF was up with that???? I get that we have to be careful, but NUMBERS = SURVIVAL, don't you think??? Especially when you're going up against The Guv and Mayberry. And did you notice that it was Carl in the backseat who opened the door and picked up the backpack? Rick, dude, you are messing Carl UP. OH EM GEE! I KNOW! Now...you know Carl is not my favorite. But LORDDDDDDDDDDDD the effing up of Carl! I couldn't BELIEVE he picked up the backpack and they drove away! Just like that! I mean - I get it - survival of the fittest. But come ON! And that poor guy was yelling "Wait, no! Please! Help me! Please!" Don't you think they could use another strong dude in the prison?? Rick is el nutso! It's official!